Do you have helpful thoughts and opinions about treating cancer? 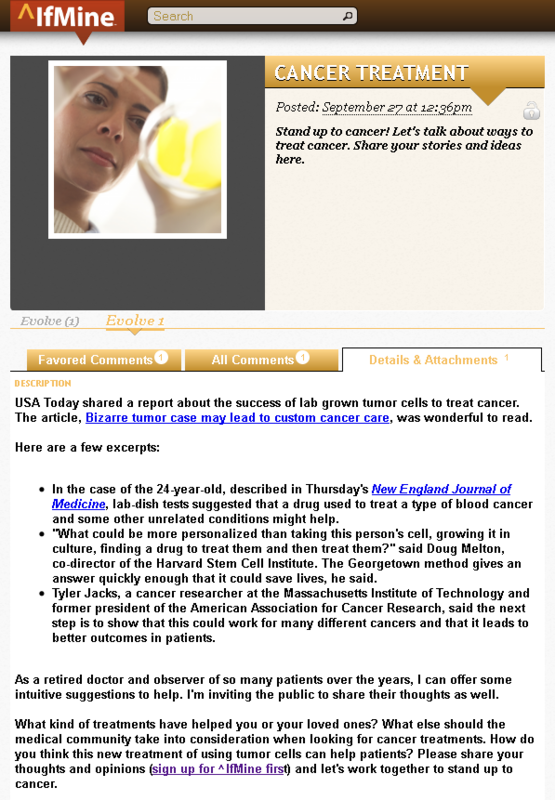 Visit the Cancer Treatment Project on ^IfMine and share your ideas. Stay connected to ^IfMine on Twitter, Facebook, Google+, LinkedIn and Pinterest. This entry was posted in Featured Project and tagged collaboration tool, project feedback, project mentorship, ^IfMine project by Danielle. Bookmark the permalink.